The PKI 1540 is not limited to A5.2 decryption, but can also decrypt the much more elaborated A5.1 encryption system. The A5.1 encryption is mainly used in Europe and the USA. 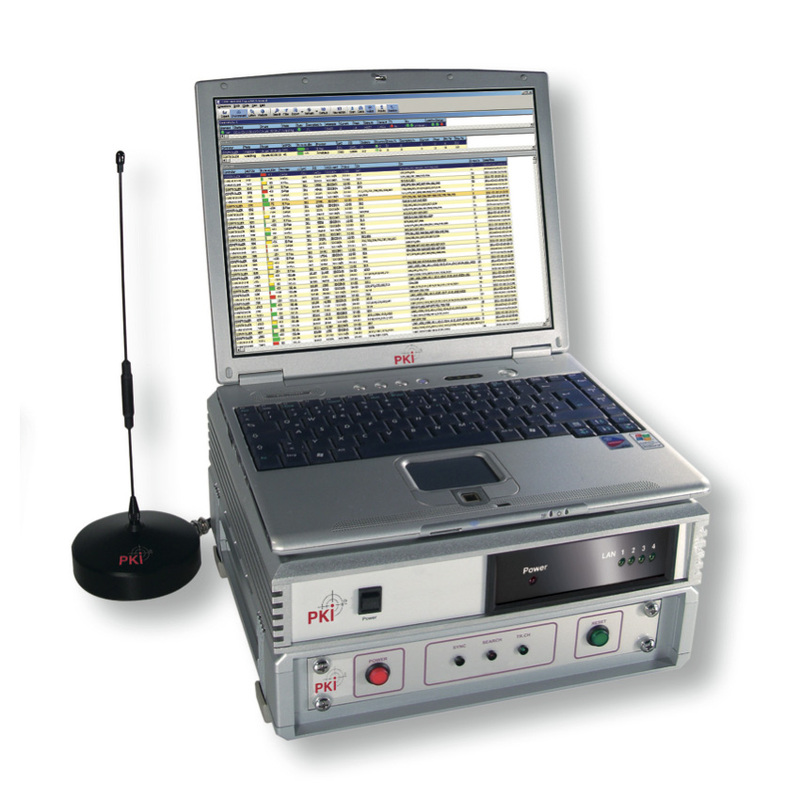 A localization of the monitoring devices is impossible, as this system works on a passive basis and does not emit any signals. The decryption unit is the main piece of the PKI 1540 in order to decrypt A5.1 encoded conversations. Because such a professional high-capacity processor of course has its price, it is advisable to use only one decryption unit for several monitoring systems. Internet, VPN or LAN can provide the necessary data connections, which, as a further advantage, allows mobile use of this system. This provides a maximum flexibility for numerous monitoring operations. On request we can also supply a device for stationary use, which also includes the decryption unit. The PKI 1540 is equipped with a receiver unit with a maximum of 32 duplex- channels, a laptop, antenna, power supply and a key decryption unit. Monitoring of GSM telephone conversations in the near surrounding is possible with both, the handheld device as well as the base station. As all conversations and text messages are recorded on the hard disk of the laptop, an evaluation of the data is possible at any time. PKI 1540 creates a log file listing all telephone numbers of incoming and outgoing calls. The identification of the telephone number of the monitored person can be done with our active systems PKI 1560 or PKI 1580. With the PKI 1540 it is not possible to find and hold specific mobile phones, because a passive system does not have any influence on the monitored telephones. For this purpose, however, we offer our active systems PKI 1560 and PKI 1580. 32 duplex-channels (both conversation partners). 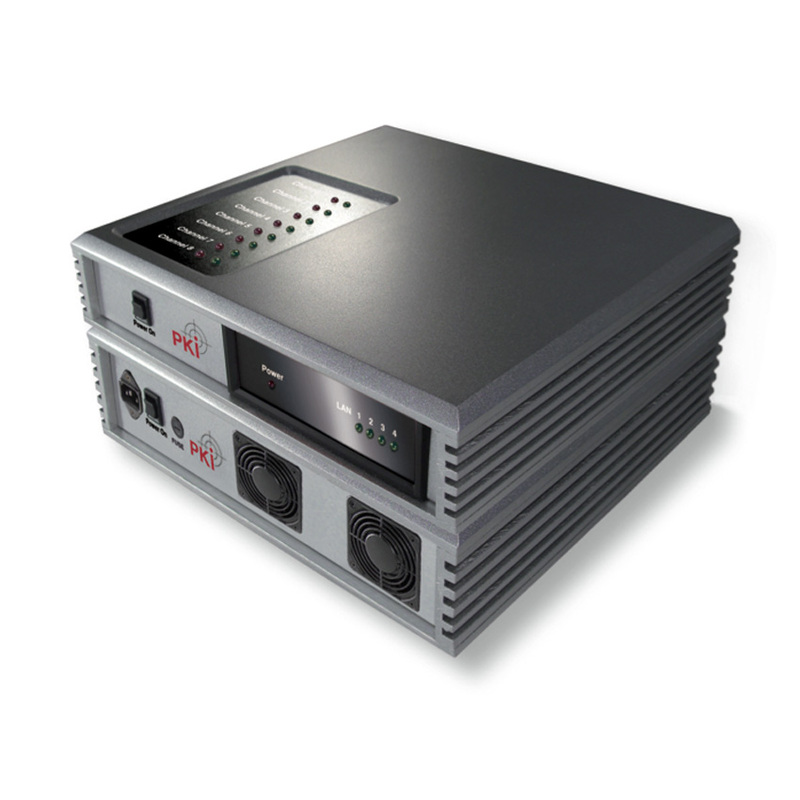 Each receiver unit is equipped with up to 8 duplex-channels. Receiver unit, Laptop computer with software, Decyption unit, antenna.